Body Fortress Super Advanced Whey Protein is the ideal post-workout protein supplement featuring 100% Premium Whey enhanced with Creatine and other critical Amino Acids. 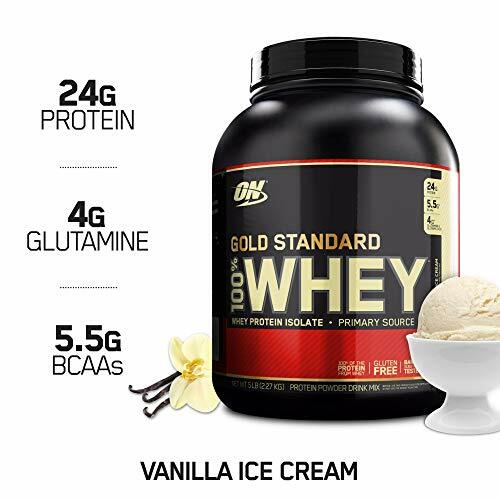 For adults, add one (1) scoop to 6-8 ounces or two (2) scoops to 14-16 ounces of your favorite beverage. Consume within 10 minutes after mixing. Take this product with an adequate daily fluid intake. 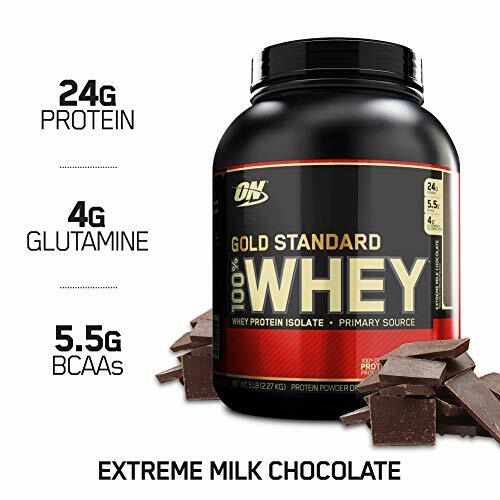 Super Advanced Whey Protein can be taken immediately following exercise or as needed throughout the day in order to meet your daily protein requirements. 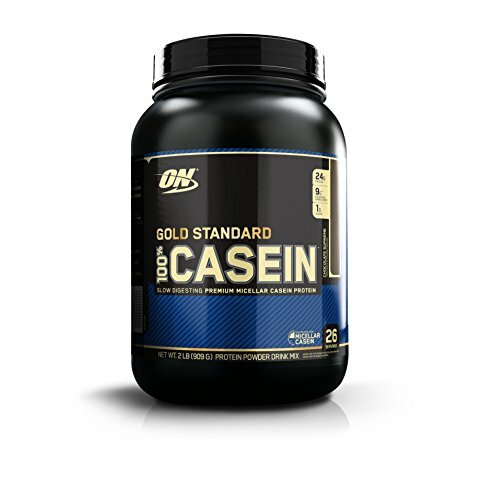 Use in conjunction with an intense daily exercise program and a balanced diet including an adequate caloric intake. Stir: 20-30 seconds or until completely blended. Shake: cover and shake for 25-30 seconds. Blend: cover and blend for 20-30 seconds. Not intended for use by pregnant or nursing women. If you are taking any medications or have any medical condition, consult your doctor before use. Avoid this product if you have kidney disease. Discontinue use and consult your doctor if adverse reactions occur. Not intended for use by persons under the age of 18. KEEP OUT OF REACH OF CHILDREN. STORE AT ROOM TEMPERATURE, TIGHTLY CLOSED AND AVOID EXCESSIVE HEAT. FOR YOUR PROTECTION, DO NOT USE IF SEAL UNDER CAP IS BROKEN OR MISSING. intraCoreLABS pure protein to help build lean muscle mass. Mixes instantly. Instantized to mix easily with a spoon. BUILD MORE STRENGTH THAN WITH REGULAR WHEY PROTEIN NITRO-TECH contains a research-proven 3g dose of creatine monohydrate, which combined with whey protein helps to build more strength than regular whey protein. In a breakthrough study, subjects using the core ingredient combination in NITRO-TECH increased their 1-rep max bench press by 34 lbs., compared to only 14 lbs. 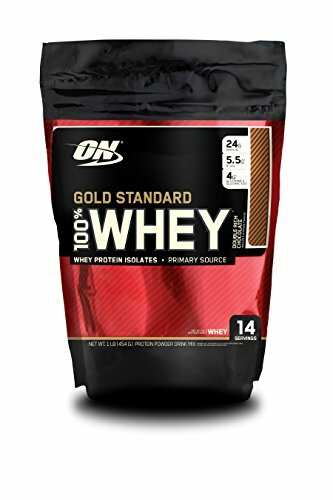 for subjects using regular whey protein. 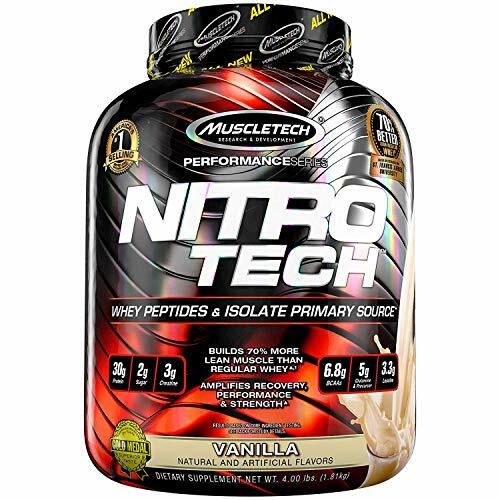 Regular whey protein is good, but the core ingredients in NITRO-TECH are shown to be superior to regular whey protein. In the same 6-week study, subjects using the core ingredients in NITRO-TECH gained more lean muscle than subjects using regular whey protein (8.8 vs. 5.1 lbs.) 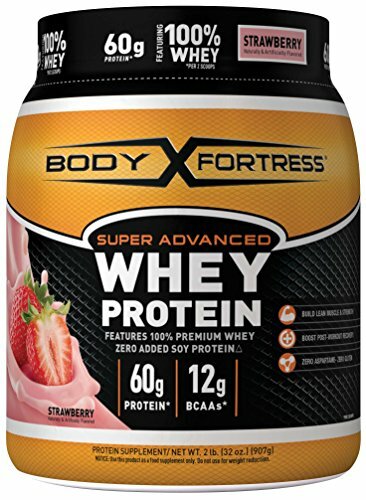 and gained 2 times the strength on the bench press than subjects using regular whey protein (34 vs. 14 lbs.). View full study here. MULTI-PHASE FILTRATION TECHNOLOGY Unlike the other guys, we don t use heat, harsh acids or salt! 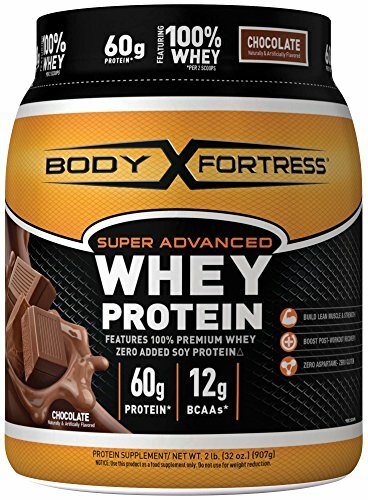 We only use a superior, cold microfiltration process to remove more fat, carbs and lactose, leaving only high-quality protein to help you increase strength and build more lean muscle. 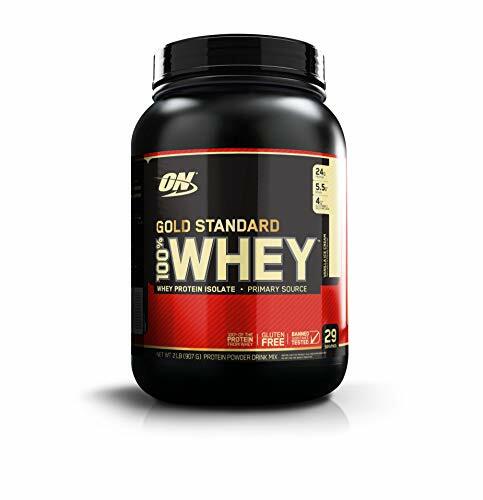 Our whey protein has been filtered using Multi-Phase Filtration Technology for less fat, lactose and impurities than cheaper protein sources. Furthermore, NITRO-TECH is manufactured according to GMP standards, as is required for all dietary supplements to ensure quality and integrity. TESTED FOR QUALITY AND PURITY To ensure a high standard of quality and purity, each batch of NITRO-TECH undergoes strict quality control, and is third-party lab tested and verified to ensure that each bottle meets the highest standards of purity, quality and consistency. 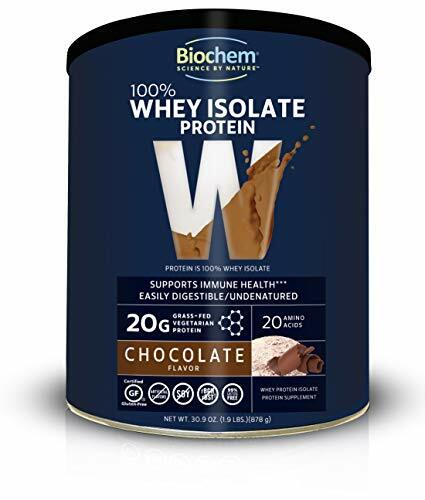 Biochem's 100% whey protein contains 100% pure ultra-filtered/micro-filtered (uf/mf) whey protein isolate, the finest quality and most easily assimilated whey protein isolate on the market. 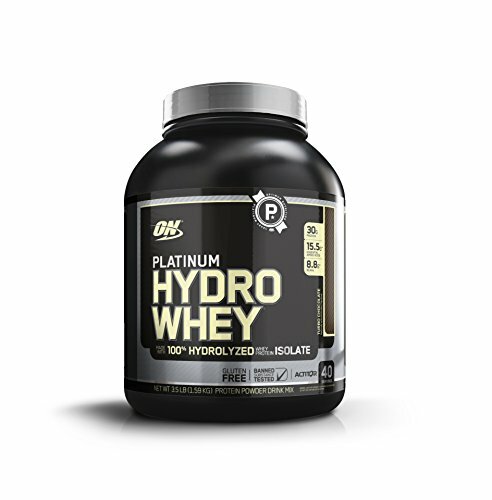 the micro-filtration method isolates the natural whey proteins in a highly concentrated form without fat. this process leaves 99% of the peptides undamaged and undenatured. free of artificial hormones including rbst and rbgh. 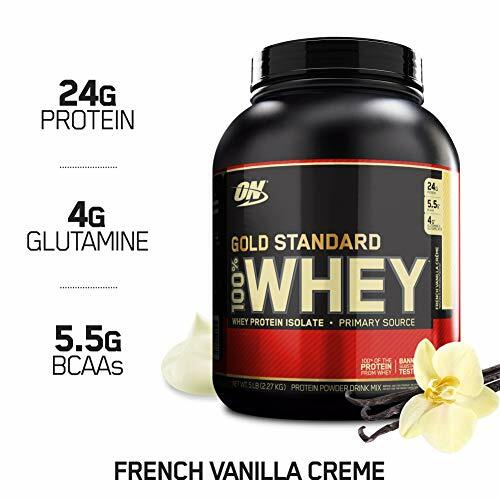 100% whey protein is rich in the highly bioactive fractions glycomacropeptide and beta-lactoglobulin, immunoglobulin, glycopeptides and lactoferrin, plus amino acids that support muscle tissue. These statements have not been evaluated by the Food and Drug Administration. 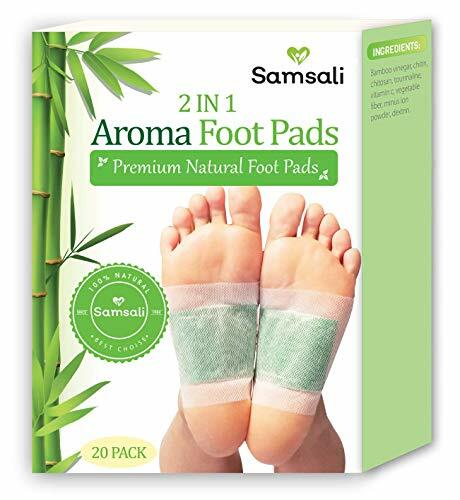 This product is not intended to diagnose, treat, cure or prevent any disease.Use in conjunction with an intense daily exercise program and a balanced diet including adequate caloric intake. 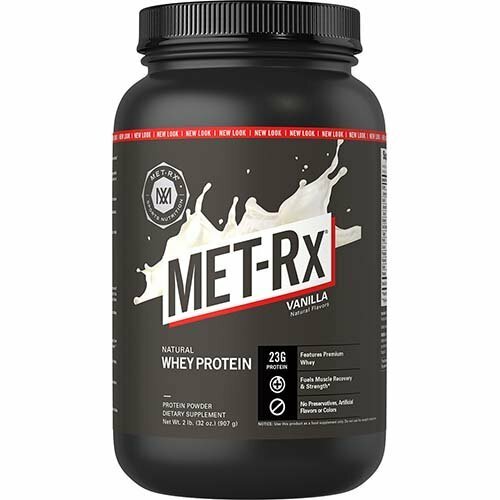 NATURAL WHEY PROTEIN: MET-Rx Natural Whey Protein contains essential amino acids to help support lean muscle mass and strength. 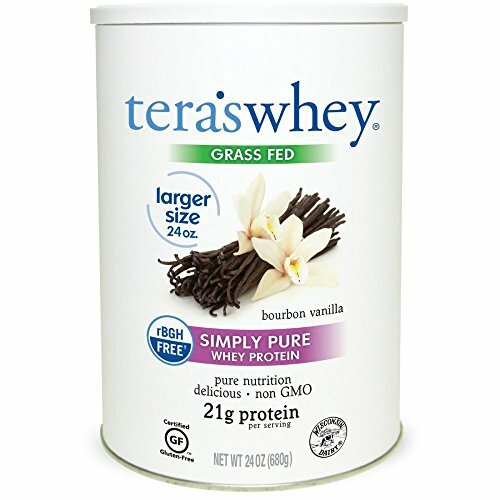 * Easy to mix and delicious, this powder contains 23 grams of protein and comes in vanilla or chocolate flavor. FUEL YOUR WORKOUT: Your body and muscles need support & energy for hard, high intensity training. 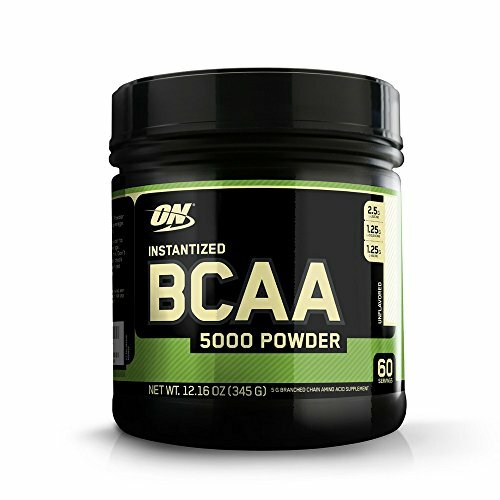 With 5 grams of BCAAs Natural Whey Protein, our powders give you extra protein to build up energy before you work out, or to help your muscles recover after. 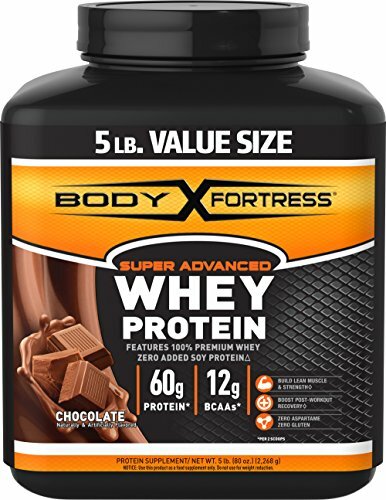 EASY MIX PROTEIN POWDER: MET-Rx protein powders are easy to mix in pre- or post-workout shakes, add to smoothies, or use in baking for a boost of protein. 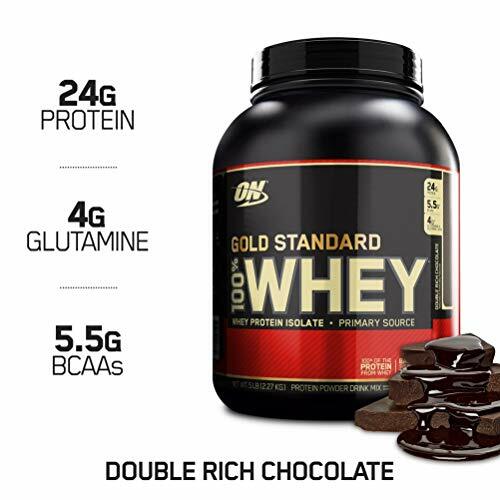 MET-Rx protein powders are available in a variety of flavors & formulas to fit your needs & tastes. 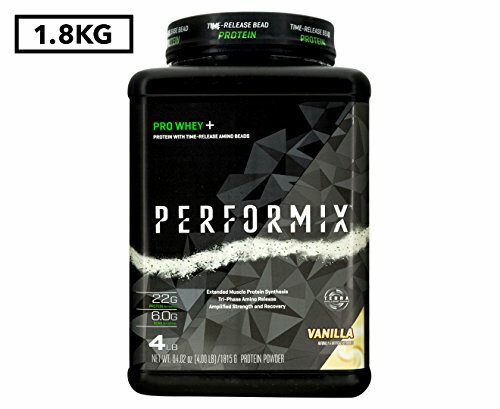 Make yourself a delicious, high protein breakfast with High Protein Pancake Mix. If you re looking for a protein-packed meal in the morning, your options are limited. 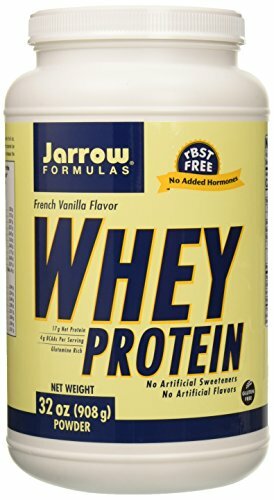 For those of us who are tired of the same old egg whites and oatmeal, we ve brought back our high protein, low-fat pancake mix. This addition to your nutrition plan has twice as much protein as traditional pancakes, and they are so delicious there is no need to add butter or syrup. Just add water, stir and pour onto the griddle and you ll have sweet, light and fluffy protein pancakes in no time. Why High Protein Pancakes? Two scoops make about 3 pancakes packed with 12 grams of protein and 200 calories. With as much protein as a 3 egg white omelet, these pancakes make high-protein breakfasts delicious once again. 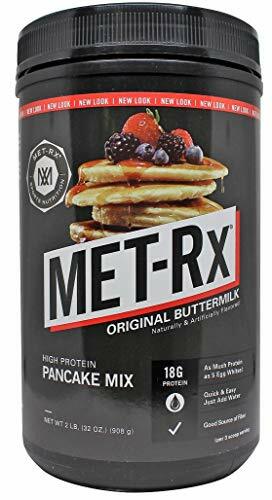 DELICIOUS, HIGH-PROTEIN BREAKFAST: MET-Rx's High Protein Pancake Mix provides twice the protein of traditional pancakes but with just as much delicious flavor. Light and fluffy, these tasty pancakes will add a protein punch to your regular breakfast. HIGH-PROTEIN, LOW-FAT: Our High Protein Pancake Mix is a delicious protein-rich breakfast option. For more flavor, try adding cinnamon or vanilla or add fresh fruit like strawberries, bananas, apples or blueberries for a sweet breakfast treat. 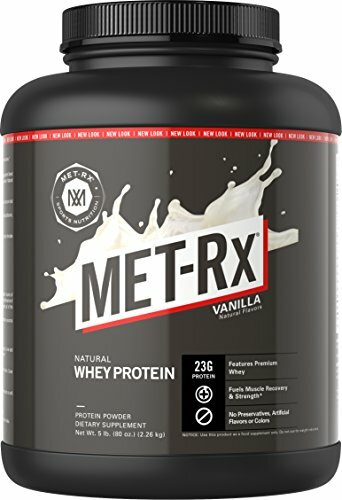 COMPARE TO YOUR FAVORITES: Compare MET-Rx products to New Whey, About Time, ALLMAX, Nature's Blent, JYM, Vital Proteins, Optimum Nutrition, Pro-Stat, Integrated Supplements, Universal Nutrition, On my Whey, Cellucor, Nature's Design, or Manitoba Harvest. 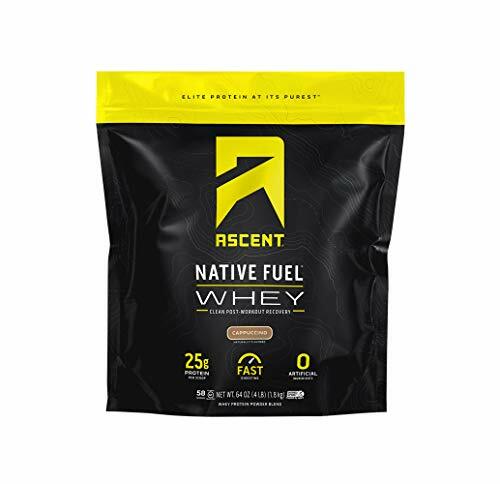 Ascent Native Fuel Whey Protein is the go-to post-workout recovery drink to optimize muscle health and performance.